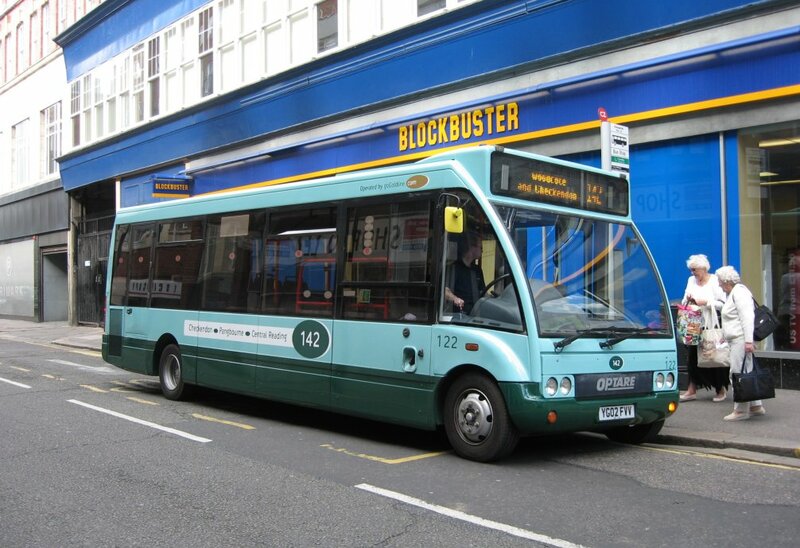 Reading Transport Fleet List: 1112 entered service by 26th. Thanks to James Cusworth for this. 1113 entered service on 26th. Trainer 310 returned from repaint today in a pink / purple colour with 311 going away in its place. Thanks to John Whitehead for this. First Berkshire Fleet List: 64046/8 are LK08 FMF/J, with the batch being B38F. 41350 reportedly arrived on loan at Slough from London in May as well as previously reported 41261 and 41353 in June. Loaned 42406 has now departed for First Wyvern. Stored 64810/4 passed to First Glasgow in May, whilst fire damaged 53053 has been moved into storage at Hayes. The red livery on 53052/4 is now branded for the Slough Trading Estate Hoppa. Thanks to Brian Coney for this. Last night 64048 was lined up ready to enter service today. Thanks to Stephen Le-Bras for this. Stagecoach in Warwickshire Fleet List: 47015 has received Network Nuneaton branding. Thanks to Keith Wood for this. Reading Transport Fleet List: The final OmniCity double decker arrived yesterday registered YN08 MMU. Thanks to John Whitehead for this. First Berkshire Fleet List: 64047 was in service today and is registered LK08 FMG. Thanks to Stephen Le-Bras for this. Reading Transport Fleet List: 1112 may now be in service, with 1113 expected to follow later this week. 1114 is now at the Scania dealership in Hull awaiting delivery. Stagecoach in Warwickshire Fleet List: 39693 is now confirmed in service without branding. Thanks to Keith Wood for this. 47010 has had Network Nuneaton branding applied. Thanks to Alistair Rigley for this. 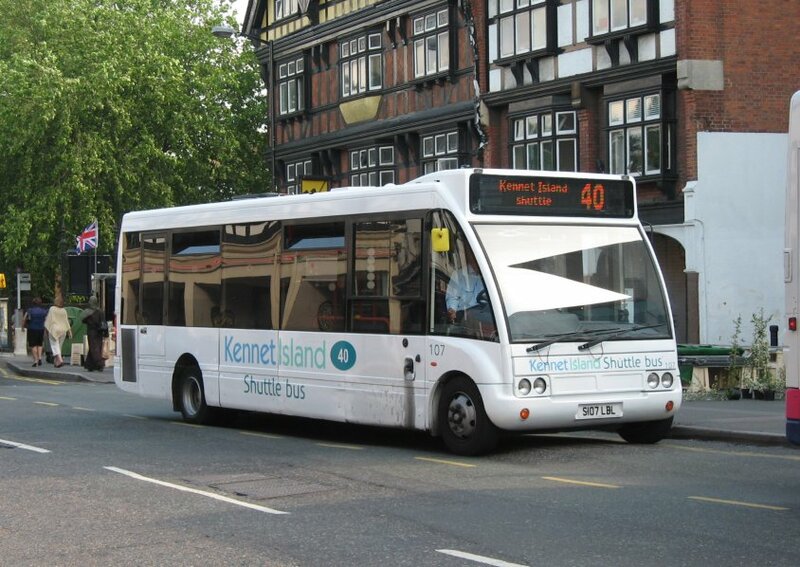 First Berkshire Fleet List: 42415 has a new ColourBus livery for Coppid Beach. Thanks to Denis Smith for this. Thames Travel Fleet List: At least one of the two new Scania OmniCity double deckers has arrived, and may have been in service today in base blue and green. Thanks to James Cusworth for this. First Berkshire Fleet List: 53034 has been repainted into London red. Thanks to Stephen Le-Bras for this. Stagecoach in Oxfordshire Fleet List: 18131 has also been repainted. Thanks to Chris Maxfield for this. Stagecoach in Warwickshire Fleet List: 14381 has transferred to reserve at Leamington whilst 14032 should have returned from reserve at Leamington to service at Rugby to put 14382 into reserve. Nuneaton 20209 has been withdrawn and 20216 has transferred from Nuneaton to Rugby with withdrawn 20213-5 to follow shortly for a new service. 20207-12/19 will be transferred elsewhere. 34398 has transferred from Nuneaton to Rugby in place of 31328. Nuneaton 47420 has gone into reserve for refurbishment. New is BMW 530d 90134 replacing 90030. Reading Transport Fleet List: 1111 was in service yesterday. Thanks to Martin for this. Stagecoach in Oxfordshire Fleet List: 18127-30 have lost their branding for route 100 following repaint. 18398 has gone on loan from Oxford to Witney to help cover during the continuing double deck repaint program. It retains its route 27 branding. Withdrawn training vehicle 29615 left the fleet a few weeks ago. Stagecoach in Warwickshire Fleet List: 39680-93 are B43F not B42F. They are B42F + 1 wheelchair. Thanks to John Page for this. First Berkshire Fleet List: New are further Mercedes Citaros 64044/5. 53052 has been repainted into London red from Linx livery. Thanks to Stephen Le-Bras for this. 64043-5 LK08 FMC-E arrived on 16th, with 64043 entering service on 17th and the other two yesterday. A further three are also expected shortly. Thanks to Mat Wooll for this. Stagecoach in Warwickshire Fleet List: Former Nuneaton 20226/7 have transferred to Stratford, with 20207/12 going from Stratford to reserve at Leamington in their place. Thanks to Keith Wood for this. First Berkshire Fleet List: New is Mercedes Citaro 64043 LK08 FMC. Thanks to Stephen Le-Bras for this. 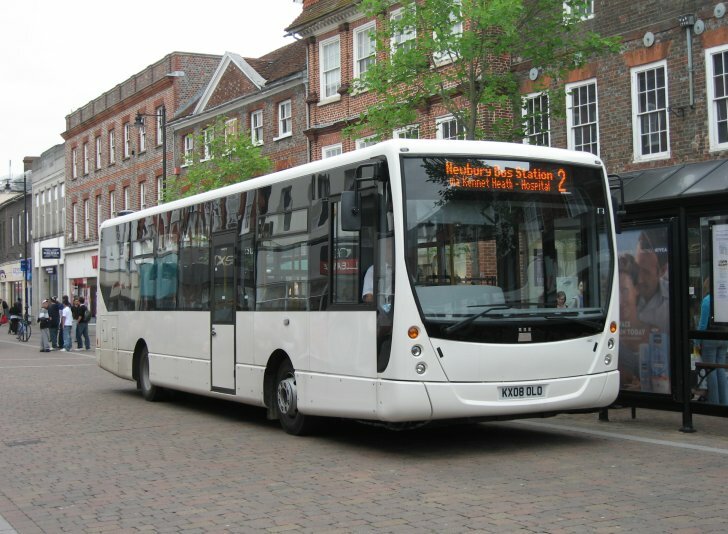 Reading Transport Fleet List: 1110-3 are confirmed as YN08 MMF/J/K/O. Thanks to John Whitehead for this. 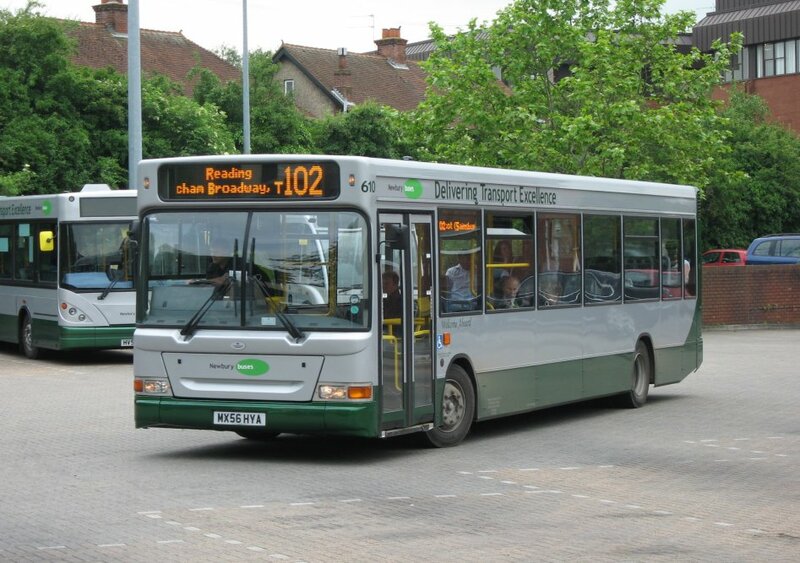 Reading Transport Fleet List: 1108 entered service by 13th. Thanks to Derek Bradfield for this. 1109 also entered service by 13th. Thanks to Brian Coney for this. Both of these are likely to have been their first day in service. Thames Travel Fleet List: Two new Scania N230UD double deckers are pending delivery. Thanks to Keith Thompson for this. Meanwhile former 151 has turned up with Meridian, Northampton. Thanks to Steve Buckley for this. Stagecoach in Warwickshire Fleet List: 36960 was in service by 14th whilst 39687 has received Matrix branding since entering service. Thanks to Ally for this. Reading Transport Fleet List: YN08 MMJ/O arrived today. Thanks to John Whitehead for this. Stagecoach in Warwickshire Fleet List: 20207 went from Nuneaton to reserve at Leamington today. Thanks to Keith Wood for this. The MegaRear on 16524 is for Trueman Solicitors. Reading Transport Fleet List: YN08 MMK arrived today, but there is no sign of MMJ as yet. Thanks to John Whitehead for this. 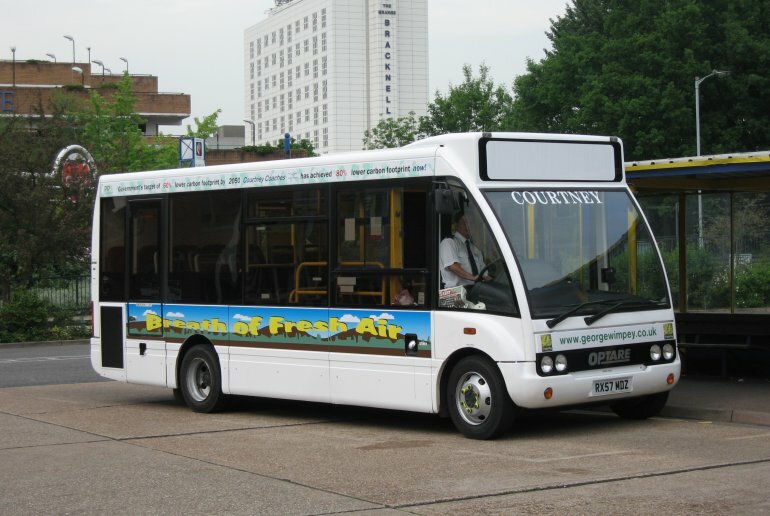 First Berkshire Fleet List: Dart 41353 has returned on loan, but this time to Bracknell. Thanks to Ian Mihell for this. Oxford Area Bus Operators: Link to Whites Coaches website added. Thanks to Brian Kilham for this. Stagecoach in Warwickshire Fleet List: Former Rugby 20221 entered service at Leamington today. Thanks to Keith Wood for this. 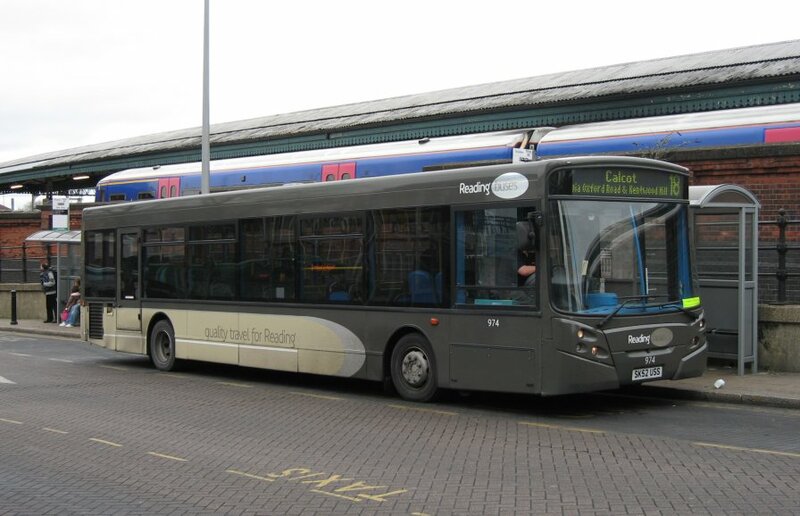 Reading Transport Fleet List: 1106 entered service today. Thanks to Martin for this. 1107 also entered service today. Thanks to Michael for this. 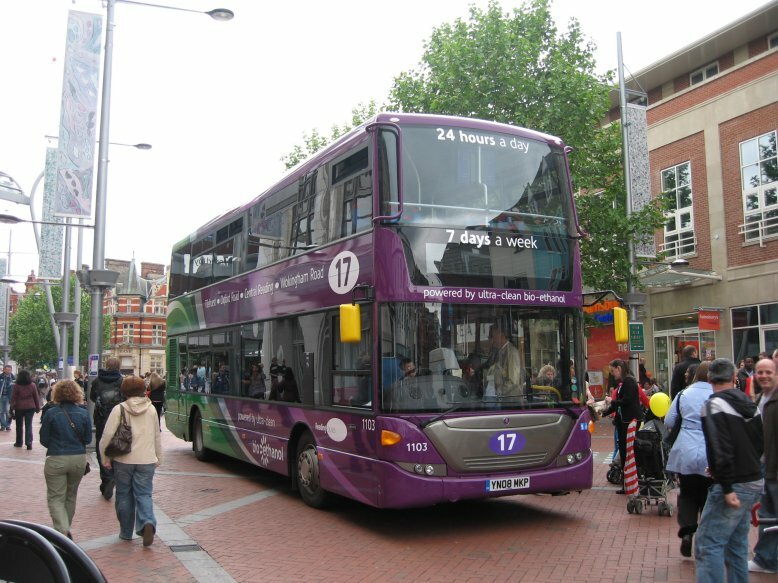 Reading Transport Optare Solos: 122 re-entered service in Reading today. Thanks to Michael Bennett for this. Stagecoach in Warwickshire Fleet List: 31328 appears to have transferred from Rugby to Nuneaton. Thanks to Ally for this. 20221/26/27 have transferred from Nuneaton to reserve at Leamington, possibly pending transfer to Rugby. Meanwhile 20210/11/13/14/15 have also been withdrawn at Nuneaton. Thanks to Keith Wood for this. News Page: Woottens Launch Tiger Line with photos of A12 WTN (rear). Thanks to Phil Lightowler for this. Reading Transport Fleet List: YN08 MMJ was awaiting delivery from the Scania dealership in Hull yesterday. Thanks to Keith Thompson for this. Van 103 X412 HRD appears to have been sold. 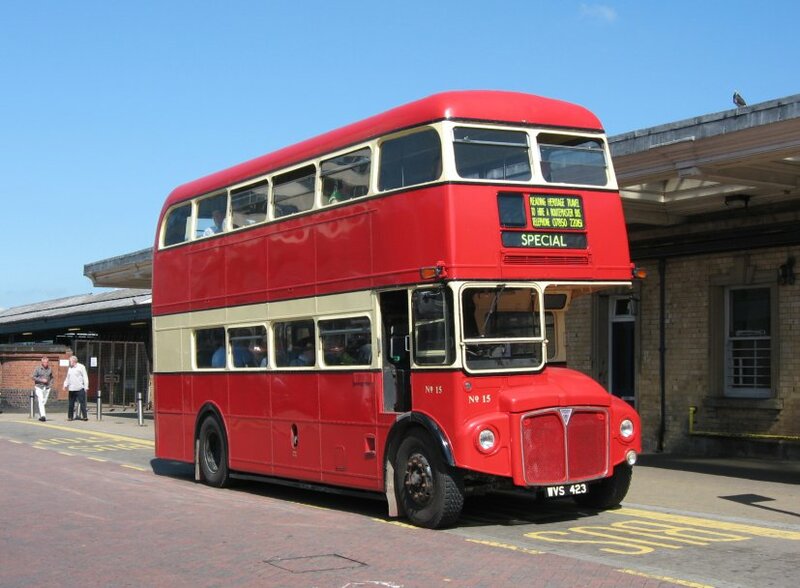 Thames Travel Fleet List: 877 has now been sold, meanwhile 256 is withdrawn with fire damage and has an uncertain future. Short term loans T793 TWX, PL06 TFY and PL06 TFZ returned to the dealer in May. Support car HD02 KPF was withdrawn sometime in 2007. Thanks to Paul Statham for this. Stagecoach in Warwickshire Fleet List: 39692 was in service by 6th and 39685/9 by 7th. Thanks to Keith Wood for this. 39684/88/91 were also in service by 7th. Thanks to Ben Morrell for this. Reading Transport Fleet List: YN08 MME/F were delivered today. Thanks to Ian Dyer for this. 122 has returned from repaint by lunchtime today and having vinyls applied. The livery appears to be very similar to the current Goldline livery. Thanks to John Whitehead for this. 710 has returned from loan to Newbury, with 974 staying to cover the fourth double deck working until the summer holidays. Reading Transport Fleet List: 1104 entered service on 4th. 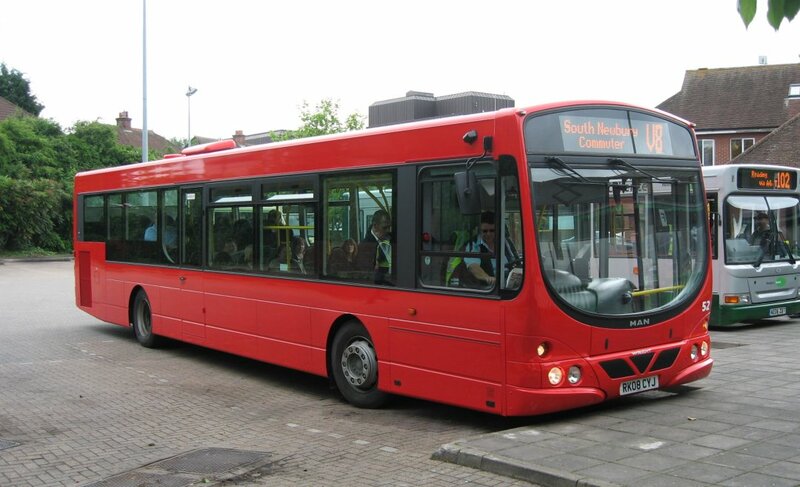 Reading Transport Optare Solos: 107 entered service on route 40 on 3rd. Thanks to James Cusworth for this. Thames Travel: 457 has been repainted into Oxford Science Park livery matching 157. Thanks to Chris Maxfield for this. 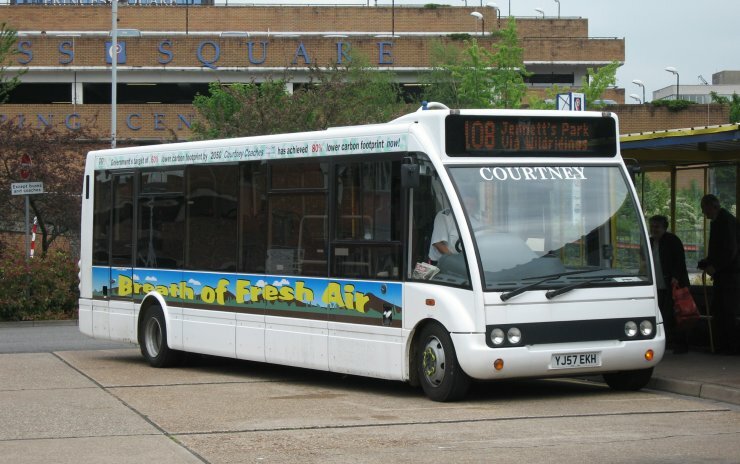 Reading Transport Fleet List: 1105 entered service today. Thanks to Michael Bennett for this. Stagecoach in Oxfordshire Fleet List: 42624 returned to its staff transport duties today. 22933/4 have had their orange MegaRears for Helen & Douglas House replaced with a new orange version. 16524 has lost its Fiat Punto MegaRear in favour of a new MegaRear for a solicitors firm. Stagecoach in Warwickshire Fleet List: 39680/1/2/3/6/7 entered service today, whilst 39688 is also confirmed as having arrived. Thanks to Daniel Prestige and Matt King for this. Meanwhile the final Mercedes-Benz 0709Ds 40148/50/52 were withdrawn on 31st and 20210 has lost its branding for route 56/57. Thanks to Keith Wood for this. 14034 has gone from reserve to service at Rugby whilst 14382 has transferred from Rugby to reserve at Leamington. 16534 has returned from reserve to service at Stratford. 20212 is a transfer from Leamington to Stratford. Transfers to Rugby are Volvo B10M coaches 52310, 52446 and 52648 from Walkergate, 52641-3, 52647 and 52657 from Winchester and 52658 from Cwmbran for Megabus and rail replacement work, most of which have previously operated in Warwickshire on National Express work. 52490, 52601, 52617, 52310 and 52446 are regarded as being allocated to the rail replacement fleet, but are simply the five lowest numbered examples and are all believed to be in Megabus livery. Reading Transport Fleet List: 1108 is YN08 MMA. Thanks to John Whitehead for this. Meanwhile 1102 entered service yesterday. Thanks to Martin for this. Stagecoach in Oxfordshire and Warwickshire Fleet List: 39680-5 have now arrived and have "Matrix" branding for routes 55, 56 and 57. They are expected to enter service on 2nd June. Thanks to Simon Bradbury for this.